NOTE: The original GS1000 is no longer available for sale. While there are numerous listings on eBay, it is hard to determine which of these are real and which are fake GS1000s. If you’re looking for a quality low-cost dash cam, consider the G1W-CB instead. The GS1000 is a camera that features a classical “photo camera”-design. It may not be one of the smallest or most stylish dash cams, but it definitely is a compact, quality device available at a reasonable price. Its video quality is okay at day time, but the GS1000’s main drawback is its sub-par video quality at night. Two things set set the GS1000 apart from other dashboard cameras in the lower price segment: One, it supports 1920×1080 Full HD resolution, and two, it comes with built-in GPS. 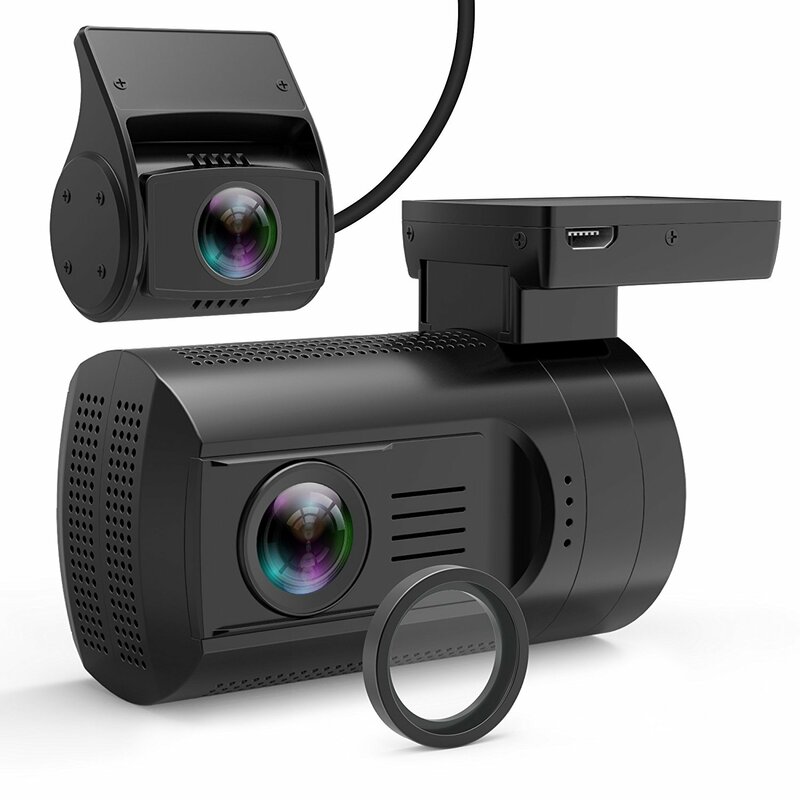 Video footage bears a date/time/speed-stamp, and of course all the dash cam must-haves like loop recording, auto on/off, and G-sensor for impact detection are also included. There are lots of different versions of the GS1000 available, most of which are unreliable and/or cheap fakes. The version that has been found to work best is the GS1000 Orange Menu by Samoon, with firmware version SMH4.35.160712B or SMH4.35.2101512A. If you get a GS1000, you definitely want to get this one. If you are looking for a compact, GPS-enabled dash cam for around $100, the GS1000 is definitely worth considering. Be sure to get the orange menu version though. Quite a few users who got cheaper variants later complained that they received a faulty or unreliable device. Day time video quality is good, but not great considering this is a 1080p camera. Night video is definitely the weak spot of the GS1000 dashboard camera. There too much glare from traffic and street lights, and the video looks very grainy. As a result, signs and license plates are difficult to read, even from up close. The original GS1000 is no longer available. Consider getting a G1W-CB instead if you’re looking for a good affordable dash cam.